A rigid rod or other device that measures length is at rest relative to itself, even if part moves such as a measuring wheel, because it moves relative to other objects, not relative to itself. 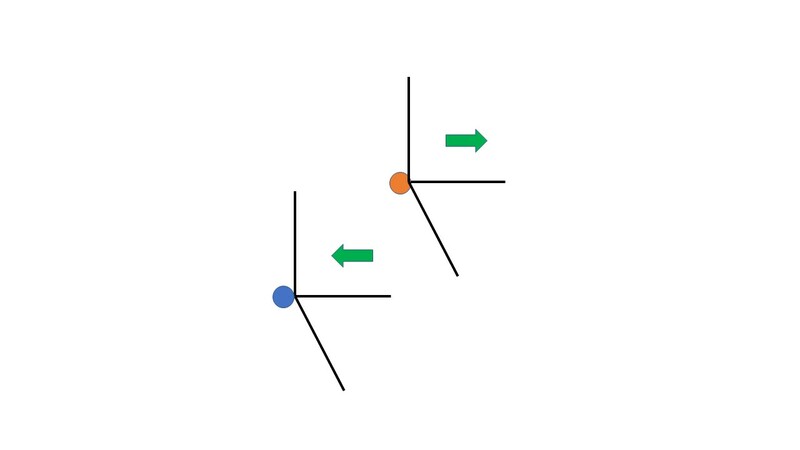 A concept of simulstanceity enables an observer to determine length at other times (e.g., they are the same point on the stance line). A clock measures time, but what is a clock? It is a device with a part that moves relative to a part that is at rest. So a clock is an object in motion relative to itself (yes, this is possible). The part that moves indicates the time. A concept of simultaneity enables an observer to determine time at other places (e.g., they are the same instant on the time line). Let there be a rigid reference frame associated with each observer or object (e.g., they are attached). An observer may be at rest or in motion relative to their frame. If the observer is at rest, then their frame is a length frame and what they observe is in space. Time is the independent variable and length in three dimensions is the dependent vector variable. If the observer is going somewhere, they are not at rest but in motion. Their reference frame for rest is not their own frame but a different frame, such as one located on the surface of the earth. In this case the observer and rest frame system are like a clock, that is, a clock frame, and what is observed is in time. 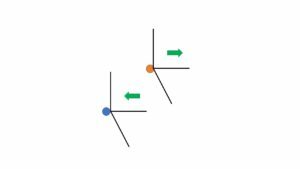 A clock frame is moving in the opposite direction of a rest frame. Length is the independent variable and time in three dimensions is the dependent vector variable. For Galilean inertial frames the observer is at rest and the moving frame transmits the current stance in an instant of the time line, instantaneously. For contra-Galilean inertial frames the observer is in motion and the rest frame transmits the current time in a point of the stance line, punctstanceously. The rest frame observer has three dimensions in space. The observed frame in motion is effectively reduced to the one dimension of its motion in time. The moving frame observer is like a clock with space and time exchanged: the dimensions of the observer’s frame are in motion so the three dimensions are in time. The rest frame that is observed appears to move and is effectively reduced to the one dimension of its path in space.